Decorative stones are quite popular these days. 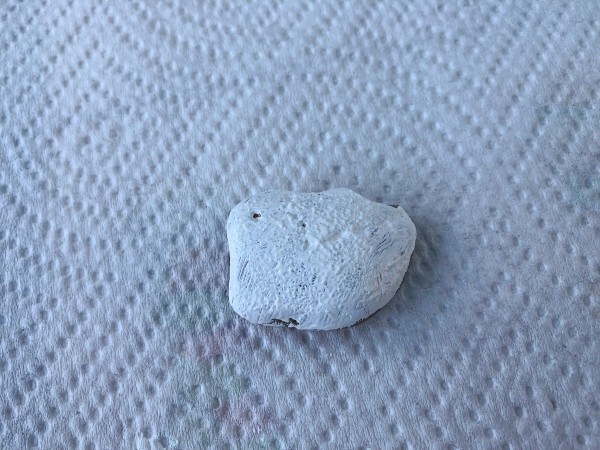 Have you found any on your walks? 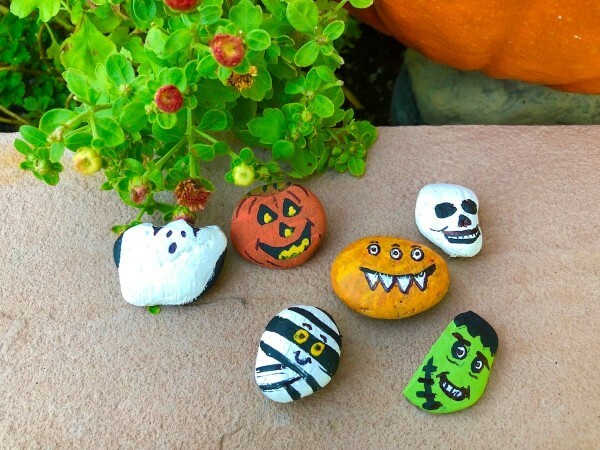 Create these durable seasonal decorations easily with found stones and some craft paint. 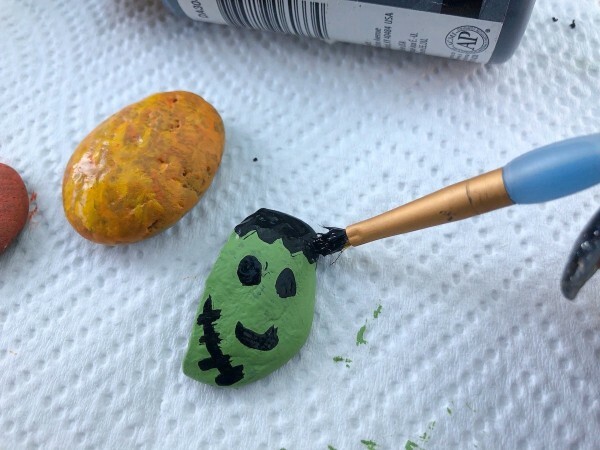 This is a guide about making decorative Halloween stones. I love these Halloween decorations because you can find any shape of stone laying around, and figure out what spooky character you want it to be. 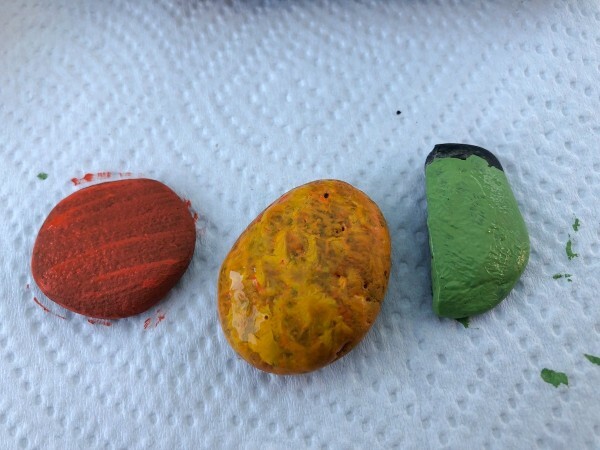 My previous decorative stones needed ovals and wedges (watermelon stones) and perfectly round ones (ladybug stones), but with this, anything goes. You can use them as paperweights, but I love mine out in front of the house with the pumpkins! I made a ghost, Jack-o'-Lantern, mummy, monster, skull, and Frankenstein. Some other fun Halloween icons you could try: black cat, witch, zombie, bat, coffin, spider, cauldron, crow, headstone. Paint the ones that are to be coloured in 1 to 2 coats of paint. 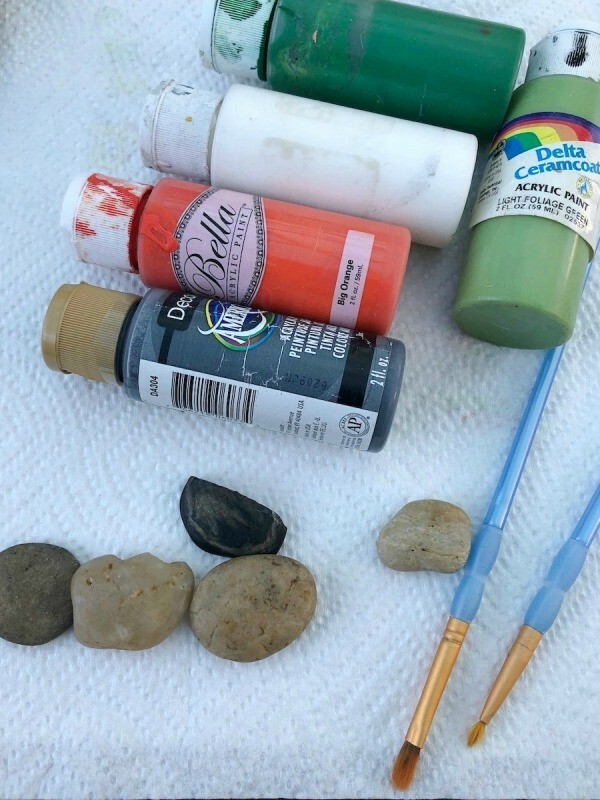 For the monster, I dabbed it with a mix of orange and yellow paint (unmixed) so it would look furry. 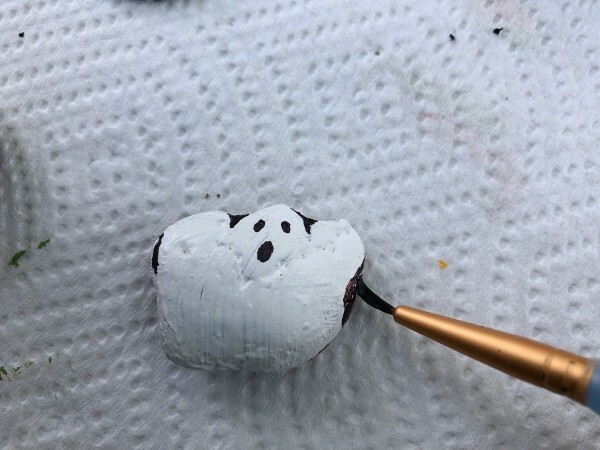 Paint all the white based characters in 2 to 3 coats of white paint. Take a thinner paintbrush and start adding all the black details to the characters. 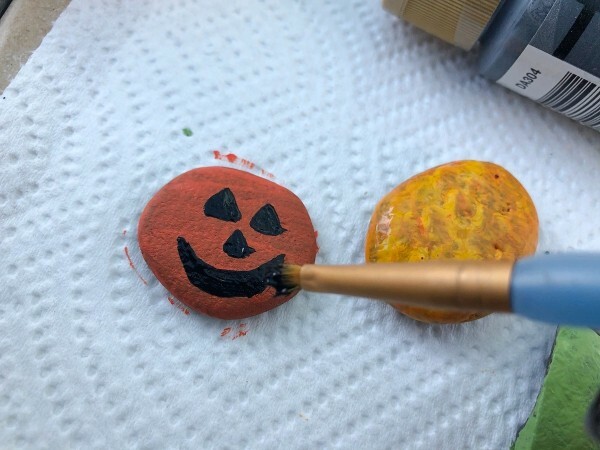 Use triangles for the Jack-o-Lanterns eyes and nose, a long horizontal moon for the mouth. 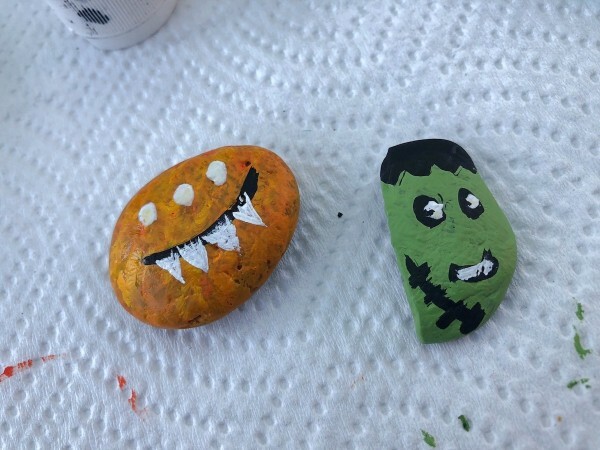 Give Frankenstein a jagged hairline, 2 eyes, a mouth, and a fat stitches! 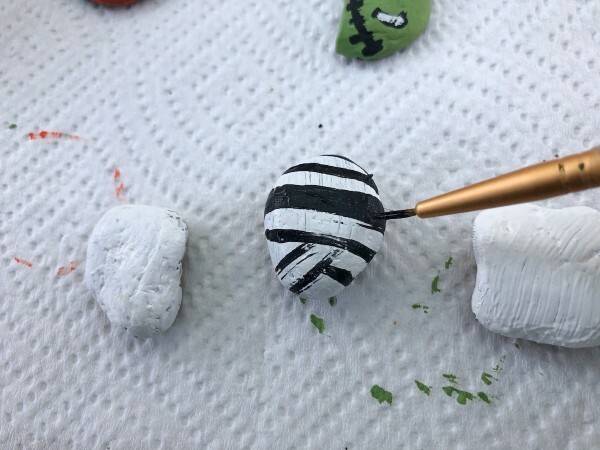 To make the mummy, paint stripes going around the stone, with one rather thick black horizontal bar a bit higher than center. Give the skull 2 big eye sockets, an upside down heart for a nose, high cheekbones, and a toothy smile. To make the ghost, give it thick black outlines to suggest its body shape, arms raised, 2 eyes and an open mouth to say, "Boo!" Use the white paint to give the monster 3 eyes and 4 sharp teeth. 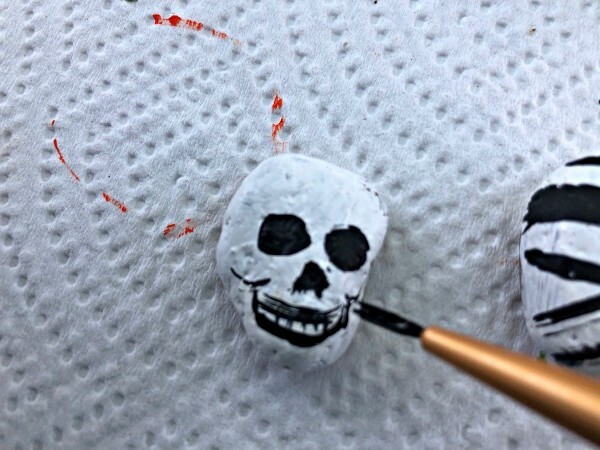 When the white dries, gently outline them with black. Add whites of eyes to Frankenstein. I gave the mummy and Jack-O-Lantern yellow eyes and some added details.